THE GOOD: St. Vincent (singer/songwriter/multi-instrumentalist Annie Clark) comes back with a slick (but not-TOO-slick) fifth. THE NITTY GRITTY: Co-produced and (at times) co-written with current pop wunderkind Jack Antonoff, “Masseduction” is not exactly a bid for the mainstream. Yet the album finds Clark flirting with the whole pop aesthetic while bending and/or breaking it in a way that only she can. Lena Dunham felt herself "growing slowly apart" from Jack Antonoff in the weeks before they split. LOS ANGELES (AP) — Lena Dunham has written an incredibly personal essay about coming to terms with permanent infertility at age 31. Vogue.com published Dunham's detailed account Wednesday of her decision to undergo a hysterectomy late last year to relieve what she describes as debilitating pain from endometriosis. 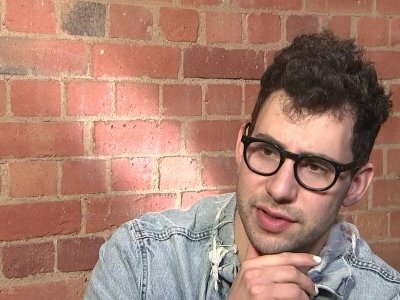 INGLEWOOD, Calif. (AP) — Look at what you won't make him do: Producer Jack Antonoff is keeping quiet about who Taylor Swift is singing about in her new song. Antonoff co-wrote and co-produced "Look What You Made Me Do," Swift's upbeat new song that is rumored to be about Kanye West. Some even felt the song's lyrics referenced former friend Katy Perry. When asked who Swift is referring to, Antonoff told The Associated Press: "That's for her to tell you." NEW YORK (AP) — Spotify says Taylor Swift has set a new global first day streaming record. The music delivery site said Saturday it had logged more than 8 million same-day streams for her new single, "Look What You Made Me Do." Grammy-winning New Zealander Lorde created "Royals" and the rest of her debut album in her teen years. Now, at 20, she's back with a sophomore release just as exceptional, and with a growing sound. TRENTON, N.J. (AP) — There was more to the New Jersey primary race to succeed Republican Gov. Chris Christie than sparring in debates and attack ads. Tuesday's Democratic and Republican primaries have also seen celebrities backing candidates, the potential candidacy of a former "Saturday Night Live" star, frequent invocations of President Donald Trump and repeated references to the Palace of Versailles. Taylor Swift and Zayn Malik have dropped a surprise duet single from the "Fifty Shades Darker" soundtrack. Swift and the former One Direction singer both shared clips of "I Don't Wanna Live Forever" on Twitter late Thursday. The full song was made available on iTunes on Friday. "I Don't Wanna Live Forever" was written by Swift, Sam Dew and Fun's Jack Antonoff. 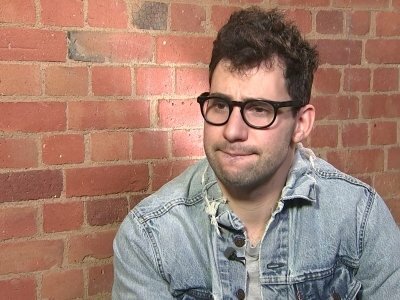 Antonoff also produced the track.